Panic washed over the countryside like a wave as the vampires came in the night, draining person after person of their blood. Soon vampire hunters and mobs were out in force, digging up graves to burn the hearts of corpses suspected of attacking the living. This wasn't Transylvania, or Russia, or some other place famous for its vampires, however, this was Rhode Island just a 150 years ago. In the 19th Century the small towns of Exeter, Foster, Kingstown, East Greenwich, experianced a mass vampire scare. During this time dozens of corpses had their hearts burned as the fear of vampires spread, subsided, and returned again. But it wasn't just Road Island. Other incidents of vampire panic hit America as well. Now, with our obsession over good luck and bad luck we forget that horseshoes were originally meant to protect a house against vampiric fairies and other dark spirits. A lot of our superstitions have their roots in fairy belief, we just don’t realize it. If you are interested in American Folklore or vampires you should really read the article I've cited (It's free!). While it's filled with the culturally biased language of the era the information on incidents of American vampire scares and hunting is wonderful. So it's clear that vampires made the crossing into America, so too did the knockers who miners in California continued to leave cakes for in return for luck. Often miners would refuse to enter a new mine unless they were assured the knockers were there. In Nevada people continued to believe in Tommyknockers well into the 20th Century. The Headless Horseman tale for which Sleepy Hollow is famous is based on common stories from Germany and England. Perhaps most interesting of all is Newfoundland, where fairies came from France, Ireland, Scotland, and Southwest England. Newfoundland has hundreds, if not thousands of memorates and stories about fairies, many of which come from 20th Century. Though it's interesting to note that Newfoundland has less stories of friendly fairies than do most European countries. "The majority of fairies are not good fairies," says Barbara Rieti, who did a PhD thesis in folklore, on the subject of fairies, at Memorial University of Newfoundland in St. John's, N.L., and later authored the book Strange Terrain: The Fairy World in Newfoundland (ISER Books, Memorial University, 1991). "They play tricks and lead you over the edge or a cliff. They'll change people. Or you'll get a fairy blast when they hit you, and then nasty stuff comes out of the wound, like sticks, balls of wool and fish bones." Even when they made it to America, fairies seem to only kept their darkest aspects. 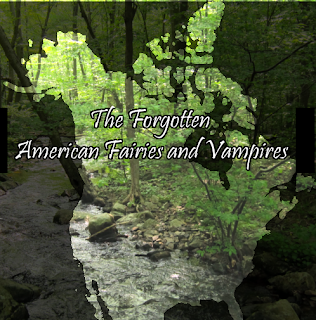 Still, it is obvious that stories about fairies and the undead did cross over to America. Yet, while Germany, Ireland, France, and the like are filled with encounter stories, gossip, and fairy tales about fairies, the U.S. seems to have a dearth of these stories about fairies. What we are usually left with are ideas, which only exist in a few places and very often vanished quickly. There are likely a number of reasons. First of all, most stories about fairies are sort of a form of gossip; i.e., did you hear, a woman over in such and such village got married to a zwerg. Or a Woman on Dartmoor captured a pixie for a few moments, or a man found a trolls treasure. Gossip such as this, which revolved around bragging, dreams, and fears was perhaps the primary reason that fairy ideas remained. In places where people found something more interesting than fairies to gossip about, or where gossiping about encountering fairies might be embarrassing, people's beliefs in fairies vanished quickly. These places include much of England and the Low Lands of Germany. Places where gossip about people, about businesses, about politics took the fore. Isolated places seem to have gossiped more frequently about fairies, and while the U.S. was filled with isolated places, the East Coast has very few actual mountains. The Appalachian Mountains are a clear exception to this, and there are indeed a number of fairy stories within these. It's also important to note that many immigrants came from places that didn't gossip about fairies, and so they were likely to influence their neighbors, making everyone gossip less about fairies. Even scholars of cultural lore like Staton (who wrote the article on Vampires in America) seemed to hold a negative view of such beliefs. Contrast this to scholars like Jacob Grimm and Yeats who celebrated their countries fairy lore as the heart of their nation and one can start to understand how such beliefs vanished fairly quickly. As Peggy M. Baker (Director & Librarian Pilgrim Society & Pilgrim Hall Museum) points out. "Fantasy writing was slower to win acceptance in America. Because of the strong Puritan hostility to what was seen as "dishonesty," the fairy tales that became so popular on continental Europe during the late 17th century - including such classic stories as Cinderella, Sleeping Beauty, Rapunzel, Puss in Boots and Little Red Riding Hood - did not flourish in England or in the English colonies in America." As with England, ideas from Parapsychology began to dominate, subsuming ideas about fairies. Even stories about Native fairy creatures such as Bigfoot were turned into pseudoscience creatures rather than retaining their mythological nature. If something couldn't fit into people’s notions of science in this country people ignored it. This is why we are left with cryptozoological creatures rather than magical creatures, UFOs instead of fairies, and only ghosts. Though witch beliefs do remain, and to some extent counter the point I’m just making, but no point in folklore is perfect, everything is a bit murky. Many of the fairy tales collected, were collected because people thought that fairy tales and folk religion would help scholars understand the peasants and therefore the true heart of a country. In America, where everyone was an immigrant, collecting the gossip of random peasants wasn't likely to teach anyone about America's past. Rather it would teach people about the past of many other places, and so the gossip of immigrants just wasn't as interesting to American scholars as the gossip of isolated peasants was to European ones. There were exceptions of course, and the article mentioned at the beginning of this post is one of these. Owen Davis in his book stated that "In Western Europe the fairies were rooted in local geographies and popular interpretations of the ancient landscape." He goes on to argue that in America people didn't have as many fairy traditions because they could no longer see the raths and trees where these stories took place. While an interesting idea, I would again point to the fact that fairy traditions remained strong in Newfoundland, and Iceland after people migrated to these places. Davis’s point is interesting, but I think that there is a lot of evidence that many of these stories did come over, and that what happened was that they faded quickly just as they did in the Lowlands of Europe. Once this happened these beliefs came to be frowned upon and so new migrants rarely talked about them, or were ignored when they did. That said, there are a number of tales and memorates which clearly indicate that fairies did in fact come to America. For example, there are the Fairy Stones of Virginia. Many hundreds of years before Chief Powhatan’s reign, fairies were dancing around a spring of water, playing with naiads and wood nymphs, when an elfin messenger arrived from a city far away. He brought news of the death of Christ. When these creatures of the forest heard the story of the crucifixion, they wept. As their tears fell upon the earth, they crystallized to form beautiful crosses. "I’ve also heard stories of healers who got their “gift” from the Fair Folk." There are many such little snippets from around the country, though as previously stated, most of these are form the most isolated areas, places which schollars ignored for a long time, and where people often wouldn't talk about their beliefs with outsiders. One collector of tales in the Ozark Mountains states; "mention witches and they all shut up like clams. If they say anything at all on the subject, it will be that they do not believe any such foolishness. Some of them will even deny that they ever heard of witches or witch masters." "A witch can assume the form of any bird or animal, but cats and wolves seem to be her favorite disguises. In many a back- woods village you may hear some gossip about a woman who visits her lover in the guise of a house cat. Once inside his cabin, she resumes her natural form and spends the night with him. Shortly before daybreak she becomes a cat again, returns to her home, and is transformed into a woman at her husband's bedside." Or "Another well-known tale is concerned with a witch who assumed the form of a swamp rabbit and lived on milk. A farmer saw this big rabbit sucking his cow and fired at it with a load of turkey shot"
This second story is of interest because sucking milk from a cow in the form of a rabbit is one of the most common activities of fairies and witches in Celtic Europe. So it seems that many of the activities ascribed to fairies in Europe became the activities of witches and ghosts alone. This may lead back to the idea of gossip, to what people were willing to talk about. After all it was often forbidden in folklore to mention when the fairies did something good for you. So, over time, stories about the good things they did would disappear, as they did with the water fairies in England. 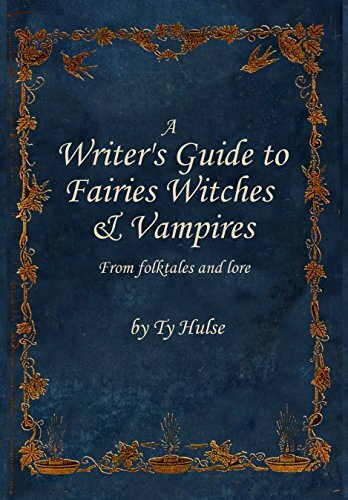 So, if you want to write about Early European settlers in America, perhaps it’s time to start including the fairies.